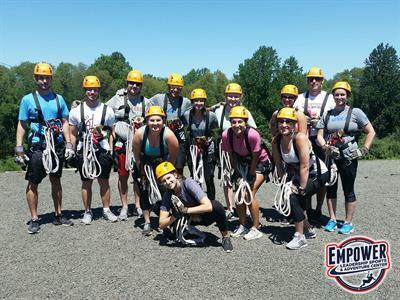 Celebrating the start of EMPOWER's 10th Season of Adventure with $10.00 off Connecticut's only Zip Line Canopy Tour Adventure. 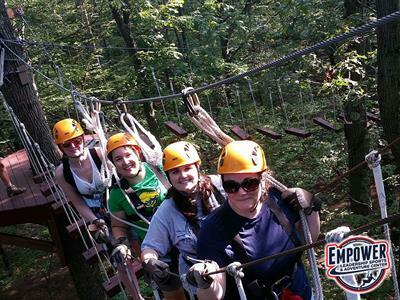 Use code "EMP10" and experience a half mile of thrilling zip lines, tree top obstacles, and unforgettable adventures - all for only $35.00 plus tax per person! 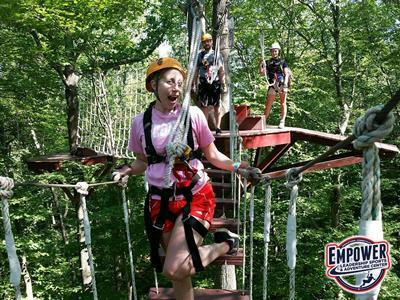 Valid on Saturdays from March 10th through April 28th, 2018. 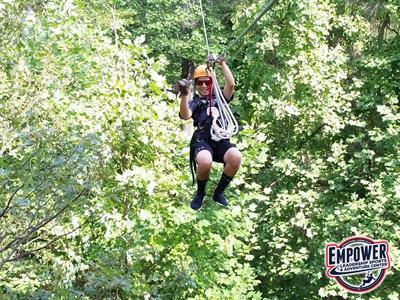 Use code "EMP10" and experience a half mile of thrilling zip lines, tree top obstacles, and unforgettable adventures - all for only $35.00 plus tax per person!